This was a rainy wedding day for this bride and groom. The wedding was held at his parents farm in Barrhead Alberta. It was the end of July and on this day it just wouldn't stop raining. These two were incredibly brave though they got out there in the rain, into the canola field and we all were trying to make the best out of it. They say its good luck when it rains on your wedding. 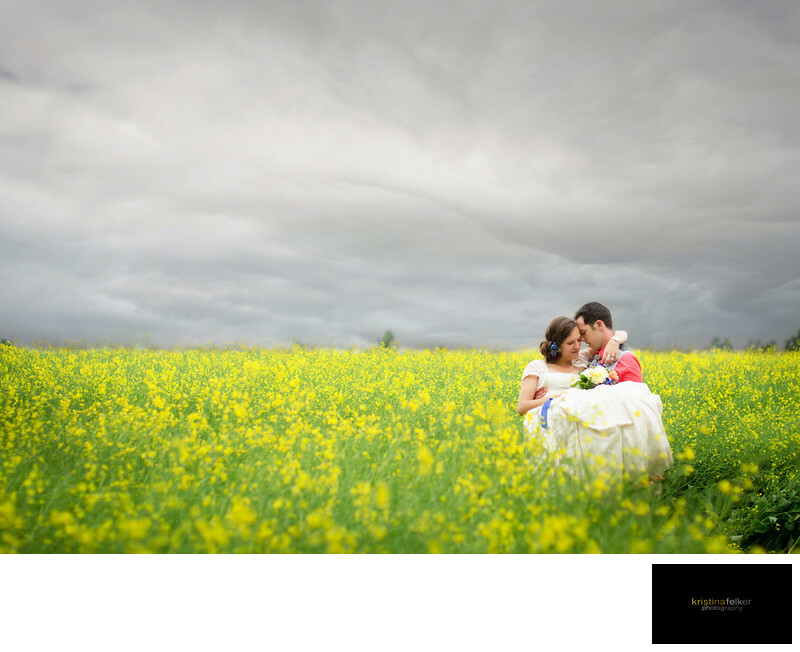 Groom was caring his beautiful Bride across this canola field with a heavy sky lying right above them. Keywords: Barrhead Weddings (6), Bride and Groom Portraits Edmonton (9), Edmonton Wedding Photographers (15), Wedding photographs Edmonton (9), Wedding Photography Alberta (3), Wedding Photography Edmonton (15).